Still in Kristiansand but this coming week we set sail! A new chief cook got hired and arrived so my days are now easier (for a few days until our 60 voyage crew arrive). 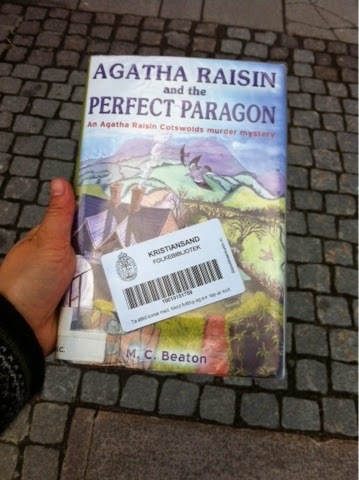 Other exciting news is I got a Kristiansand library card! Not a huge selection of English books but it's still fun to have some more choices and it's free so it seems like a win-win situation. One night I went to quiz night at the pub with several of the crew. We had to get the Danish people to translate the questions and were quite horrible at the local news category but did ok on the others. Surprisingly I knew a fair amount of answers in the social media category! 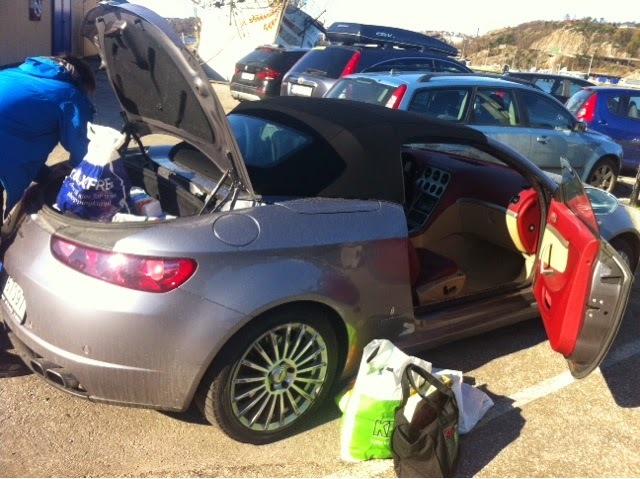 This week I went provisioning (for 12-60 crew) in an 2 seat Alfa Romeo. Perfect vehicle choice?! Everything just fit - phew! We also had some things arrive from a chandler and we will pick up a big provision order on this first sail. As we get going into operation mode we've been going through some safety and drill things. We had the fire hose & pump out and we all had a turn to hold the hose. It's quite heavy with all that water pressure - rather glad that's not my job in an emergency situation. Galley work slowed down and I got some deep cleaning done. Some of the places I scrubbed haven't been accessible for a few years so it was very satisfying to wash that dirt off! The ship had sanitation and radio inspections this week. All is good and those items are checked off our pre-season to so list. The next update should be more interesting with the news of a sail to include!